I was fortunate to attend the 10th World Piano Conference in Novi Sad, Serbia from 27 June to 3 July 2018. 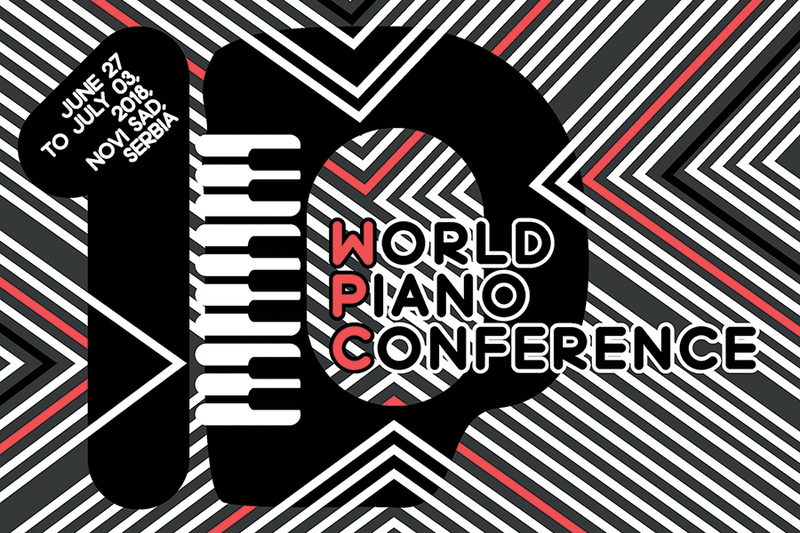 It is a relatively unique conference in that it welcomes recitals, lecture-recitals, and master classes, as well as more traditional conference presentations, and it is solely focused on the piano and piano-related topics. There were delegates from countries all over the world, such as the Czech Republic, Sweden, Costa Rica, Argentina, the USA, Australia, Poland, and Colombia. Each day was packed with stimulating presentations on diverse topics. I heard fascinating lecture-recitals on the piano compositions of Nietzsche, the piano music of Central and South America, a history of Czech piano music, neglected piano compositions by female composers, authentic Polish folk dances and their role in Chopin’s mazurkas, and a wonderful method for teaching improvisation from the very first piano lesson. Some of the conference delegates in the recital hall of the Isidor Bajic Music School. Several talented students from the Isidor Bajic Music School were eager to participate in master classes by well-known pedagogues and pianists, and the high level of playing and teaching was impressive. We were treated to high-level concerts in the recital hall of the music school, the beautiful Novi Sad town hall, as well as the Great Hall at the rectorate of the University of Novi Sad. I presented a recital in the Great Hall on Saturday 30 June, consisting of works by Beethoven and Schumann, as well as Elegie ter nagedagtenis aan Otto en Giepie by Hendrik Hofmeyr. The latter composition was deeply meaningful to me as it was the world première of a work by a South African composer, written at my request to commemorate the lives of two very special animal companions. Making friends with the accommodating Yamaha C7 before my recital. The Great Hall at the rectorate of the University of Novi Sad. The central area of Novi Sad is picturesque, with a central town square surrounded by a vast and bustling pedestrian area with a wonderful array of restaurants, cafés and shops. It was a great relief to be able to trade the icy Potchefstroom winter for a sunny European summer, albeit for just a few days. Novi Sad is on the banks of the impressive (but not blue) Danube River, and the view from the Petrovaradin fortress is spectacular at night. Dinner at the Petrovaradin Fortress, overlooking the Danube and Novi Sad. The conference was expertly organised by Dr Dorian Leljak and his team, and the atmosphere was warm and collegial. I learnt a great deal, and made new friends from around the world. I hope to return in future to introduce the attendees to more of the music of our great South African composers.